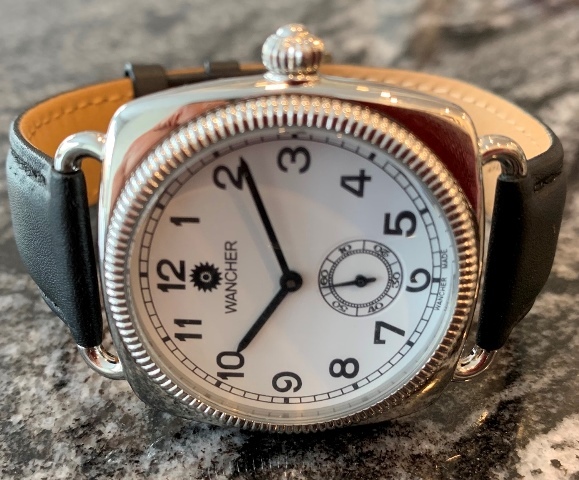 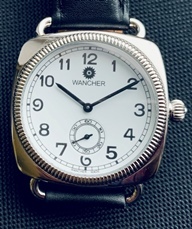 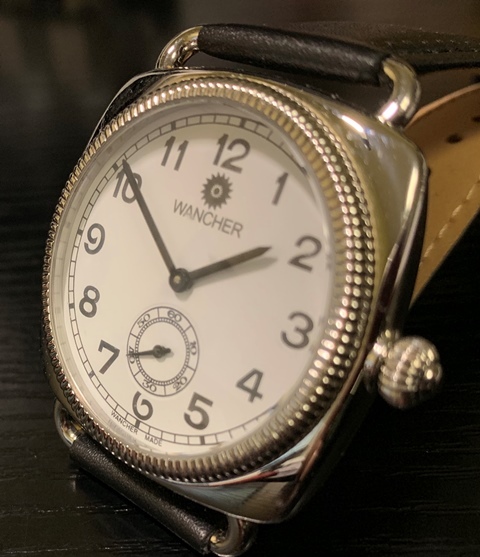 Modern 39 mm Wancher automatic with white porcelain dial and in stainless steel case with display back showing movement. This watch is in new unused condition and works great. 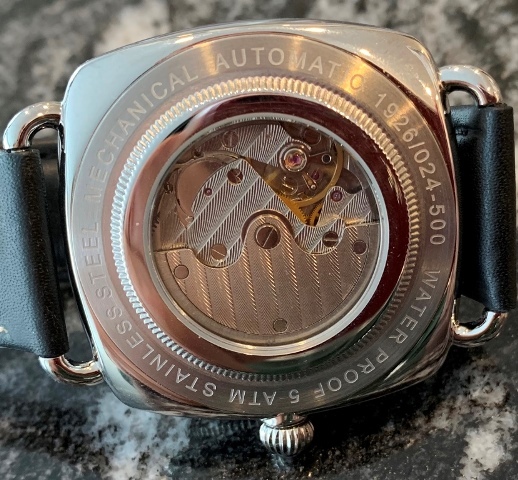 Photos are magnified and show details not seen by naked eye, the case measures 39 mm across (not including crown) x 47 mm lug to lug and is fit with a leather bracelet.